Evangelical Lutheran Church candidates for pastoral ministry arrested. 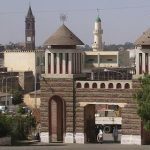 (Morning Star News) – Eritrea is again persecuting even officially recognized religious bodies with the arrest last week of five Christians set to be ordained in the Evangelical Lutheran Church, according to Open Doors. The Christian support organization announced today that security officials in the capital, Asmara, arrested Petros Yosief, Bemnet Tesfay, Aklilu Tesfay, Ermias Hadgu and Aron Mehretu. The arrests came shortly after the church announced on April 20 that they would be ordained for pastoral ministry. “The arrests clearly show how even government recognized churches, namely the Catholic, [Eritrean] Orthodox [Church] and Evangelical Lutheran churches, are not free from government control,” said an Open Doors source on condition of anonymity. 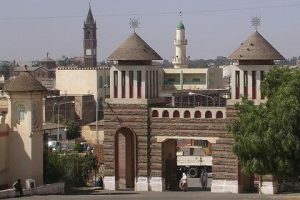 Authorities in Eritrea, where an estimated 1,500 Christians are languishing in prison for their faith, are holding the would-be Evangelical Lutheran leaders at Police Station Number 2 in Asmara, according to an Open Doors press statement. 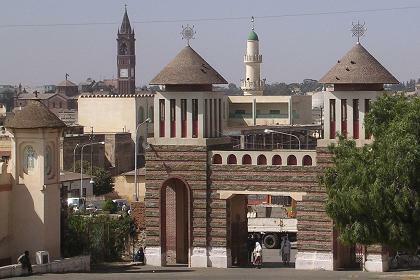 In 2005, Eritrean authorities cracked down on the officially recognized Eritrean Orthodox Church (EOC), persecuting those who supported a renewal movement within the church and who protested religious persecution. When Patriarch Abune Antonios, head of the EOC, objected to the persecution, Eritrean President Isaias Afwerki arranged for him to be deposed, placed under house arrest and ultimately replaced by a government official. It was the EOC that had reportedly urged the government to crack down on the other religions in the first place, resulting in making all other religious bodies outside of the four who registered in May 2002 illegal. At its worst point, persecution in Eritrea resulted in an estimated 3,000 Christians incarcerated for their faith by the end of 2010, with most held in shipping containers in desert camps and others in underground cells, Kendal writes. In 2010, the U.S. Department of State estimated 50 percent of the Eritrean population was Muslim and about 48 percent Christian; the Pew Research Center, however, estimated at that time that nearly 63 percent were Christian and 36.2 percent Muslim.